Should You Be Buying Marijuana ETF’s? Marijuana stocks saw a great deal of interest in the beginning of 2018, the catalyst- legalization of recreational use of marijuana in the state of California. Also, the federal government of Canada has announced it will be legalizing recreational cannabis use in 2018. That said, traders can select from hundreds of marijuana stocks, trading throughout the OTC Markets, Nasdaq, and NYSE. However, good luck finding a marijuana ETF. You see, the basket of stocks that an ETF invests in must be held at a custodial bank. The problem, marijuana is illegal at the federal level in the United States. This makes banks hesitant to do business with companies in the space, as well as, businesses that invest in pot stocks. That said, most of the pot stocks trade over-the-counter. Since most of these companies are traded on the OTC Markets, trading liquidity is not always great. Do Marijuana ETFs Make Sense? Currently, there is one marijuana ETF that is traded on a major U.S. stock exchange. ETFMG Alternative Harvest ETF (NYSE: MJ) seeks to replicate the total performance of the Prime Alternative Harvest Index, minus expenses and fees. The Prime Alternative Harvest Index has been created for investors to take advantage of a basket of companies related to different aspects of the cannabis sector. Cronos Group Inc (NASDAQ: CRON) – The firm invests in Canadian cannabis companies. Its core assets include- Peace Naturals, Original BC, and the Whistler Medical Marijuana Company. Whistler is Canada’s first licensed producer to ship live plants. 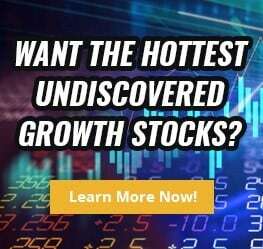 Aurora Cannabis Inc (OTC: ACBFF)- This Canadian medical marijuana producer has already achieved a multi-billion dollar market cap in just a short period. The company cultivates, harvests, and sells Canadian medical marijuana. In March of 2018, the firm announced it acquired CanniMed, Canada’s first licensed medical marijuana producer, for a sum above $1 billion. Canopy Growth Corp (OTC: TWMJF) This Canadian marijuana company owns the largest marijuana-producing greenhouse in the world. Its core brands include: Tweed; Spectrum Cannabis; and Bedrocan. This multi-billion market company has partnerships with Snoop Dog, DNA Genetics, and AusCann, establishing itself as a powerhouse in the space. MedReleaf Corp (OTC: MEDFF) voted top licensed marijuana producer at the 2017 Lift Canadian Cannabis Awards. Its the only cannabis company in Canada that is ISO 9001 Certified & ICH-GMP Compliance Certified. Despite the list of impressive cannabis companies that ETFMG Alternative Harvest ETF (NYSE: MJ) holds, there are some questionable companies as well. For example, Canntrust Holdings (OTC: CNTTF) is a holding of the fund. According to OTC Markets, the stock is in the grey market. The company doesn’t seem to care about its U.S. listing. However, trading on the grey makes trading more difficult, as shares are more likely to be less active. Liquidity is a concern with this fund. As well as, if it can maintain a custodial bank. Operational Risks of the Marijuana Industry: The use of marijuana is illegal under U.S. federal law. That said, federally regulated banks may decide not to do businesses with companies in the cannabis sector. Regulatory Risks of the Marijuana Industry: The companies in which the fund invests in are subject to a number of laws, regulations and guidelines. For example, controlled substance legislation differs between countries and legislation in certain countries may restrict or limit the ability of some companies in which the fund invests in to sell its products. Other risks include: equity market risk; foreign investment risk; concentration risk; and market trading risk. As exciting and promising ETFMG Alternative Harvest ETF (NYSE: MJ) is, investors need to be aware of the risks. If for whatever reason, the fund loses its custodial bank, then it could be forced to liquidate its positions. The fund has over $400M in assets, and as pointed out earlier, some of their holdings aren’t very liquid. Horizons Marijuana Life Sciences Index (OTC: HMSLF) This ETF tries to match the performance of the North American Marijuana Index, minus expenses and fees. Its goal is to give investors exposure to publicly listed North American life science companies that do business in the marijuana sector. Furthermore, the funds investment strategy permits it from investing in marijuana companies which get a portion of their revenue, curently or in the future, from the medical and/or recreational marijuana industry in certain U.S. states where marijuana use has been legalized by state law, notwithstanding that the use, possession, sale, cultivation and transportation of marijuana remains illegal under U.S. federal law. Horizons Emerging Growers Index Marijuana Growers Index ETF (OTC: HZEMF) this ETF gives investors exposure to small cap companies involved in the cultivation, production and/or distribution of marijuana. Its largest holdings include: Terrascend Corp; Auscann Group Holdings Ltd.; Cann Group Ltd; MPX Bioceutical Corp; and Hydropothecary Corp. The fund also expects to have exposure to internationally listed stocks. The business of marijuana is growing rapidly. According to Arcview Market Research, the North American marijuana market posted $6.7B in revenues in 2016, a spike of 30% from the previous year. Right now, it seems like more states in the U.S. will follow suit and legalize recreational marijuana. Of course, the federal government still views marijuana as an illegal drug. That said, the federal government regulates banks, and because of that, banks may refuse to do business with a cannabis company given the law. Of course, given all the risks, investors need to do their own due diligence before considering adding a marijuana ETF to their portfolio. On the other hand, marijuana stocks and marijuana ETFs can be great for trading when there is news in the sector and volatility increases.